・輸送サービス(鉄道、旅行・観光業） 関東、甲信越から東北まで1都16県にまたがる鉄道。 東京圏鉄道ネットワーク、5方面に延びる新幹線ネットワーク。 ・生活サービス 大規模ターミナル開発。大規模複合型まちづくり。地域間流動の促進。 流通・サービス事業、不動産・ホテル事業等の展開。 ・IT・Suicaサービス Suica発行枚数約7,500万枚。全国10の交通系ICカードによる全国相互利用サービス。 交通系電子マネー加盟店約58万店、1日の最高利用件数約784万件。・ Transportation service (railway, travel and tourism) A railway that spans 1 prefecture and 16 prefectures from Kanto and Koshinetsu to Tohoku. Tokyo area railway network, Shinkansen network extending in 5 directions. ・ Life service Large-scale terminal development. Large-scale combined town development. Promote inter-regional flow. Development of distribution and service businesses, real estate and hotel businesses, etc. ・ IT ・ Suica service Suica issued about 75 million copies. Nationwide mutual use service by 10 traffic IC cards throughout the country. About 580,000 transportation electronic money member stores, the maximum number of use per day about 7.84 million. "We go with customers, and as a" Trusted Life Service Creation Group ", we will achieve both social responsibilities and profit creation for sustainable growth of the group." We aim to become a corporate group that responds to the expectations of society and the trust of our stakeholders. We mainly provide three services of "Transportation Service", "Life Service", and "IT / Suica Service" based on our corporate philosophy, "Trust" from customers and local residents. As our international business, we are aiming at establishing an international business model of the world and provide a richer lifestyle mainly in Asia by providing the JR East Group's high quality and highly efficient railway infrastructure. We also have many overseas projects including UK railway franchise, Indian high-speed railway plan, Bangkok urban railway purple line in Thailand, used vehicle transfer to Myanmar and Indonesia, and technical assistance. Starting a career from the front line to accumulate experience and knowledge to carry out management. Job rotation across a wide range of business fields will happen every few years. Based on diverse work experience, you will be in charge of the management of the entire group, providing society with new values that anticipate changes in the environment. After accumulating work on the front line sufficiently, acquiring expertise and technology, you will play a central role in the area's business, contribute deeply to the development of the local community and engage in the management of the entire area. Also, depending on your ability and motivation, you may be responsible for the management across areas. There may be work transfer to head office if needed. Working hour and break time are variable depending on each position. 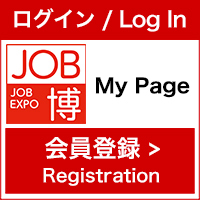 ・ have flexible thinking ability that can respond to any environment with challenging spirit while having highly specialized skills. ・ are able to manage projects and achieve goals while finding out future challenges by themselves and coordinating with various stakeholders inside and outside the company. ・ always pursue new areas by yourself and the infinite possibilities of the JR East Group. ・ pursue "ultimate security" and improve "service quality". ・ build a cooperative relationship with various stakeholders, inherit the technology that supports the railway business and try hard to improve better. At JR East, a diverse range of human resources are active in various business areas regardless of gender, age, nationality or disability. Besides domestic railway business, we also do other business such as life business services, IT and Suica services. If you are interested in inbound strategies for overseas tourists, as well as the development of overseas railway projects, please visit our booth.